John Mahama is a Threat to Youth Education and Empowerment! For his boldness in implementing a Free SHS programme within the very first year into his administration, any patriotic Ghanaian, who even hates the President would have no option than to commend him. This is because, it is neither easy for a government to provide such items like - school uniforms - 2; house dress - 2; school cloth - 1; P.E. kit - 1; exercise books - 9; note books - 4; core literature books - 3; nor free food, furniture, utilities, etc for each of the over 800,000 free SHS beneficiary students. But, if you have a visionary president in the person of HE, Nana Akufo-Addo, and a hardworking Minister of Education, who all believe that, investment in youth education surpasses all other investments, you care not about the cost. This is because, the benefits of such current investment far outweighs the explicit cost. Unfortunately, this is what the Incompetent Mahama fails to acknowledge, understand and appreciate. Over the years, the government of Ghana has been spending huge sums of money on convicted armed robbers in our prisons. They eat thrice a day, and attend hospitals free, not forgetting the free accommodation and security. And therefore, whether the likes of Ataa Ayi would come out of prison as professional nurses, doctors, teachers, etc to help build this country is subject to debate. Has John Mahama complaint about the cost of maintaining our prisons? The answer is a big NO! However, aside these kids becoming our future leaders, the incidence of social vices would greatly be curtailed as Hugo succinctly puts it; "He who opens a school door closes a prison gate". The question is; does John Mahama, a beneficiary of the Northern Scholarship Scheme see it this way? This is my doubt and I believe it is your doubt as well. Give this 'Mr. Incompetent One' the least opportunity and all that you hear is an attack on the Free SHS programme. He constantly calls for stakeholder consultation when he declared himself a "Dead Goat" and was not ready to listen to anybody. 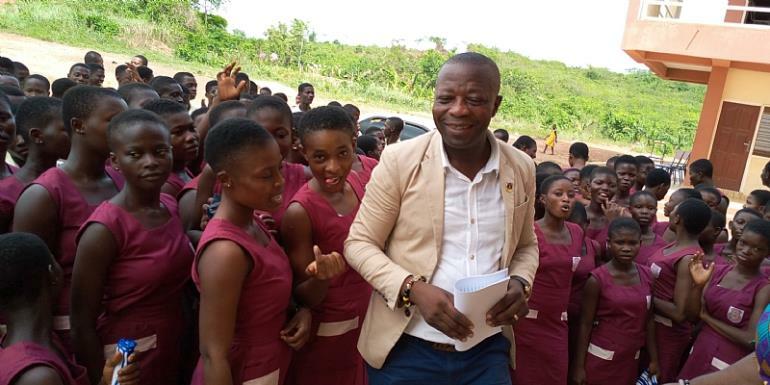 He attacks the double-track system when he offers no solution as regards how to get these kids off the streets; and just yesterday, he vowed to cut down the huge investment on the Free SHS programme, should he be voted again. So, Mr. Mahama, are you for real? For your knowledge, the Free SHS programme is the soul of some us. When you attack it unnecessary, you attack our souls and you become a threat to our survival. This policy has put money into my pocket as a beneficiary parent. At Abodom Methodist Middle School in 1984, only two out of the 24 graduates passed through secondary education due to cost barrier. At Opoku Ware School, I was beaten, sacked from examination room at some point all because my sister couldn't pay my school fees. Some eventually left the school all due to affordability. But you, then a son of a Minister, still attended school up North to enjoy Free Education. You have gone ahead to become an MP, Minister of State, Vice President and President, yet you can't sleep because the NPP has implemented the Free SHS Programme. This is purely evil! We have nothing to say till 2020, where we, the beneficiary parents and kids would show you the red card, God-willing. The Free SHS programme has come to stay and we are forever grateful to the NPP government under President Akufo-Addo. We'll protect it with all our might because we see you as a threat to the education of the youth. "Vision, coupled with persistency, results in great success". This author has authored 218 publications on Modern Ghana. Tell Mahama to Shut up! 'Ayekoo' To Our Gallant Farmers!